OCS will pick you up from your resort, hotel, home or airport and take you to and from Orlando Airport in style. Our Orlando airport transfers are more convenient than MCO airport rental cars and more luxurious than a taxi or shared-ride shuttle. Our passengers do not board vehicles with strangers going in basically the same direction (or making stops not requested.) Pre-arranging ground transportation and securing your your Orlando airport ride takes the hassle out of getting to and from the airport. Book your MCO airport transportation now! 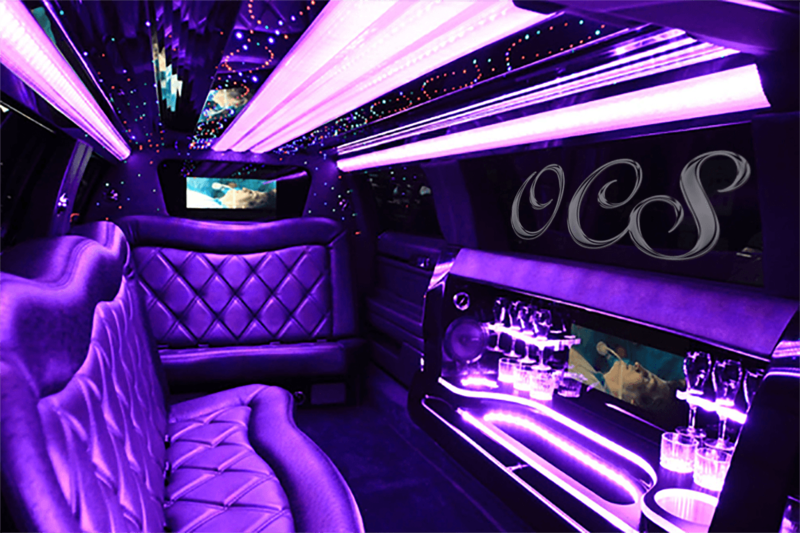 We have Orlando Limousine Service available for you too! Families, Port Canaveral Cruises, Disney, Universal Studios, Sea World & More! Remember, we track your flight. Upon arrival, all guests should proceed to the baggage claim area for your airlines. At Orlando International, the planes taxi to gates from the runways that are connected to the main terminals by an elevated train system. When you arrive at the main building you have a choice of either A or B terminals where your airlines arrival and departure areas are located. You simply proceed down the escalators from the 3rd floor of the airport to Level 2. At the bottom of the escalators, closest to the baggage carousel for your flight, you will find your professional chauffeur with a sign bearing your party's name. Please Note: We are not a shared-ride service, your chauffeur will not be meeting additional guests. It will be obvious who your driver is, he or she will be exactly where they are supposed to be. Right where you need them, in professional attire, driving a luxurious vehicle for your party and your party alone. Check out our Orlando Airport Limousine if you're arriving at MCO and want to ride in style to your destination. Get Rates for Orlando Airport Transportation & More!